What a year to be a woman. One by one, women who had been hiding in shame stepped forward, illuminating their stories and inspiring others. They became more fully themselves as they told their stories of sexual assault, harassment, and discrimination. Their courage made a bold statement: “This will not define me. I am more than this.” And now, a culture that for so long accepted what was happening in secret has begun to change. It started with one woman. When a woman is suffering with fistula, she does not need to hide in shame—she is publicly shamed. She is outcast, she is forgotten, she is told, “This is who you are.” For so many women, this lie is simply accepted. Nobody asks about the woman’s skills, her intellect, her passions, her personality—she is simply a woman who is broken, who cannot work, who cannot bear children, who can contribute nothing. Often, she is abandoned. This is the culture she has been made to accept. 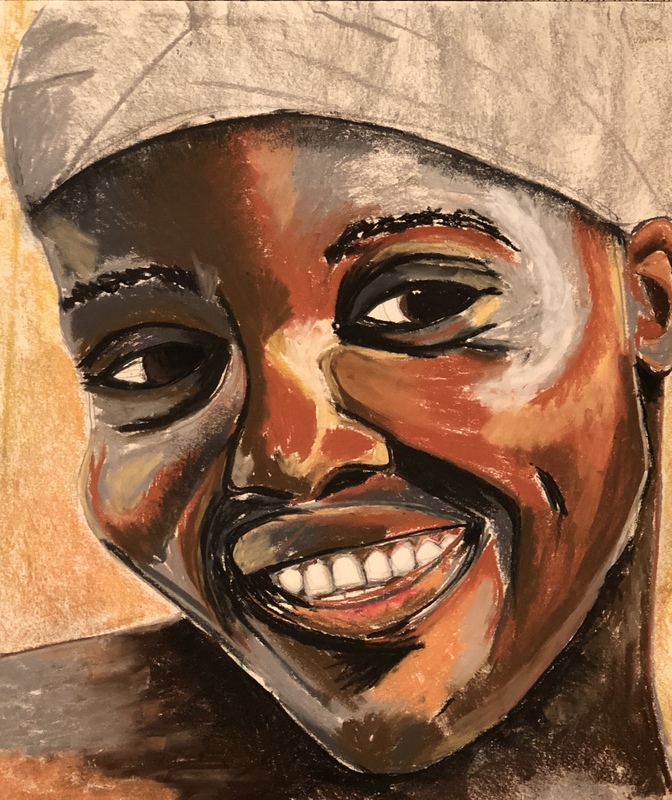 But what happens when this woman, through the generous gifts of strangers and the tireless efforts of nurses and doctors, is healed of fistula? Who is she now? What can she do? To empower is “to promote the self-actualization or influence of.” To empower someone is encouraging them to discover, “This is who I am. And this is what I can do.” For women healed of fistula, empowerment is the next step. When she asks, “Who am I?” the empowerment program encourages her to discover, I am more than a woman who lost a child. I am more than a woman who was left. I am more than a woman who was broken. I am strong. I am brave. I am smart. I am capable. When she asks, “What can I do?” the empowerment program helps her discover, I can sew. I can build. I can create. I can imagine. I can earn income. I can provide. I can learn. I can inspire others. I can change my life. I can change my culture. If one woman learns to weave a basket, learns how and where to sell it, and earns her own money, she may feel good about herself and what she has accomplished. But if another woman is watching and thinks, “I could do that, too,” then she has made an impact. She has had influence. She has truly been empowered. The work of Hope for Our Sisters has found that it is not enough to simply heal a fistula. Often, what a woman has endured is not only medical in nature, but emotional, spiritual, psychological, and cultural. When she gets out of the hospital bed recovered, she is a new woman. She has new hope. She has new opportunity. She has the chance to discover who she really is, and what she can do. And as one woman empowers another, and then another, and then another, anything is possible.